Can state and tribes share jurisdiction in Riverton? A town of 26,000 in central Michigan discovered that the neighboring Indians’ federal lawsuit against the state could make the town and surrounding townships part of the Isabella Indian Reservation. The city of Mt. Pleasant, home to Central Michigan University and the seat of Isabella County, perceived a threat to its right to control law enforcement, taxation and zoning ordinances. The city and county immediately sided with the state and declared their willingness to go to court against the Saginaw Chippewa tribe. But before the case went to trial, the judge ordered all parties to try to overcome their differences in arbitration. That was 2008. By 2010, five different governments — tribal, county, city, state and federal — had worked out a series of agreements to regulate their overlapping jurisdictions and, to their surprise, created a structure for avoiding new conflicts even as they resolved old ones. 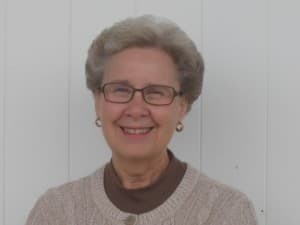 “I think for the most part it’s working very well,” said Kathy Ling, a third-term city commissioner (city councilwoman) in Mt. Pleasant, which turned out to be half on and half off the reservation. “No citizens have come forward with complaints. And we are enjoying good communication with the tribal government.” Ling, who spoke in a phone interview, was careful to say that she speaks for herself, not the city government. If the results were good, the process was not always easy. Police departments needed to put aside turf wars. County government had to weigh its right to collect property taxes against Native rights to place land in untaxed federal trust. Indians had to listen to complaints ranging from their reluctance to report DUI convictions to the state, to city residents’ complaints about tribal members’ sloppy yard work. The list of conflicts got longer before it grew shorter. The details of the newly reignited conflict between the state of Wyoming and the tribes on the Wind River Indian Reservation are not identical to those of the Michigan case. The Saginaw Chippewa tribe sued Michigan under the Indian Child Welfare Act to stop a state child protection agency from placing reservation children into non-traditional foster or adoptive families. It was clear early on that in order to reach a final ruling, the disputed historical treaty boundaries of the reservation would have to be adjudicated. In the end, the boundaries were agreed to in arbitration and the jurisdiction of state and tribal child welfare agencies was clarified. In the process, arbitrators resolved a host of other jurisdiction issues from law enforcement to taxation to health inspections. In Wyoming, the latest incarnation of the old Riverton and reservation boundaries dispute arose after the Environmental Protection Agency ruled in favor of the Wind River tribes’ application to be treated as a state under the Clean Air Act. Because the ruling gives the tribes the right to be notified about air quality permits within 50 miles of the reservation, the boundaries of the reservation must be set as part of that ruling. Many state residents, most prominently Gov. Matt Mead, found not only the ruling but also the source of the ruling hard to swallow. Mead wondered how the EPA, a regulatory agency, had the right to make a ruling that Mead and state lawyers say could affect issues of criminal jurisdiction, civil law, water law and taxation. Mead objected in his early comments to granting the tribe’s application to be treated as a state at all. In the meantime, the governor has written to tribal leaders to assure them that he respects their opinions, although he strongly disagrees. In the second month of the Treatment as State (TAS) conflict, he has focused his ire on the federal regulators in Denver and Washington. Although the EPA relied upon an extensive evidentiary procedure and incorporated a legal opinion from the Department of Interior, Mead, a former federal prosecutor, wants courts to decide the reservation boundaries. The governor instructed Attorney General Peter Michael to file suit against the EPA to reverse the boundary ruling, and to persuade the agency to stop implementing the ruling until it can be decided in court. Such an EPA lawsuit has been on the horizon for years, of course. During the litigation of a tax lawsuit filed by the Northern Arapaho tribe, which was dismissed because the Eastern Shoshones and the federal government declined to join it, deputy district attorneys for the state pointed to the current EPA ruling, which was just beginning to wend its way toward a courtroom, as a good case for resolving the boundary issue. Unlike what appears to be the position of Mead, who wants the EPA to grant the tribes’ treatment as state application but deny the associated boundary determination, lawyers from both sides have long seen the boundary dispute as a fundamental issue on the reservation. Because many previous cases that rested on a boundary determination lacked one of the major parties — the federal government and Eastern Shoshones in the Harnsberger case or the federal government in the Yellowbear murder appeal — lawyers including Hardsocg and Deputy Attorney General Dave Delicath have said in open court that the EPA’s Clean Air Act ruling could be a good, definitive case. Attorney General Peter K. Michael at the meeting of the Select Committee on Tribal Relations in Fort Washakie. WyoFile asked Attorney General Peter Michael for an interview last week to discuss his response to the EPA ruling. 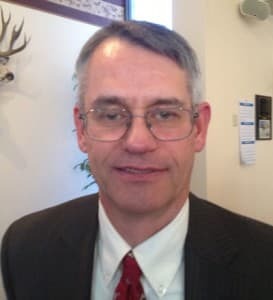 Thursday, at the request of his office, WyoFile submitted detailed questions about the ruling and the history of the litigation, including Hardsocg’s 2009 remarks. Monday Michael declined to comment on the litigation. At a meeting of the Select Committee on Tribal Relations in Fort Washakie earlier this month, Michael presented a letter to the EPA administrators in Denver and Washington arguing what he sees as flaws in the federal government’s legal case. In addition, Michael submitted to the EPA a collection of 27 affidavits solicited from state agency leaders around Wyoming, who commented on the effects of the jurisdictional changes. Among the various fears detailed were the possibility of releasing 45 convicted felons who are Native American but were convicted by state court in what the EPA says is now Indian territory. An affidavit from the Wyoming Board of Parole notes that warrants from the parole board are difficult to enforce in areas under tribal government, and that this area of Indian Country would expand under the EPA ruling. In some cases, such as the collection of sales tax, the state would lose revenue because Indian consumers would not have to pay the sales tax on retail purchases made within the reservation. In at least one other case, the state would see an immediate savings, since the state Public Defender Office in Riverton could be downsized when prosecutions of Natives moved to tribal or federal court. Delivering the long list of affidavits appears to serve two purposes in the state’s case for a stay of the implementation order. It bolsters Wyoming’s case that the state has exercised extensive jurisdiction over Riverton and the remaining territory in dispute. In addition, the affidavits convey the impression that, at best, all parties must do an enormous amount of work to adjust to new jurisdictions and, at worst, that the EPA decision could plunge central Wyoming into chaos for years to come. The Northern Arapaho response to the state’s letter to the EPA was blunt, to say the least. The tribe’s counsel says the state relies on “legal theories already specifically rejected in prior litigation” and fails to understand the basic facts of concurrent jurisdiction in Indian country — essentially the idea that one institution can license and regulate Indians and Indian-owned businesses even while another, say the state or county, can regulate non-Indians in the same location. In fact, as the situation in Mt. Pleasant, Mich. shows, federal, state, county, city and tribal governments can all play distinct, well differentiated roles in government at the same time without coming into conflict. Alongside the state’s request for a stay which, the tribe is quick to point out, the EPA may not have the authority to enforce, the best hope for temporary preservation of the status quo may be arbitration under the supervision of a court. Under significantly different circumstances, this is what happened in Michigan. In Michigan, arbitration began before any ruling was made. A lawsuit had been filed, but no changes in the status quo had been ordered at the time arbitration began. The local governments began implementing the changes they had agreed to only after a judge approved the arbitration agreement. It is not clear how arbitration would go forward in the Riverton case, especially if the EPA lacks authority or willingness to stay the new jurisdictions in Riverton and the other disputed areas. At the Tribal Relations committee meeting in Fort Washakie, members of the committee and audience briefly raised the prospect of arbitration before trial. If the tribes, the state and the city adopted such a strategy, they might find themselves in a situation similar to that in Michigan. 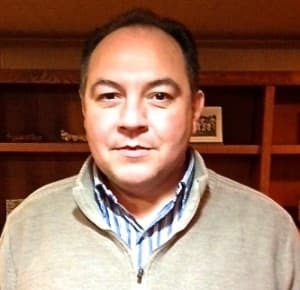 Frank Cloutier, a member of the Saginaw Chippewa tribe and a tribal employee for 18 years, remembers a tense beginning of negotiations with non-Native governments in 2008. In fact, with few exceptions, the list of potential problems foreseen by Michigan negotiators mirror those detailed in the affidavits solicited by Wyoming for its response to the EPA. No one in Michigan was imagining that the restaurants in Mt. Pleasant might go out of business for lack of inspections, but most of the remaining issues were on the table at the beginning. Even so, after two years of negotiation, the parties signed a series of agreements. The agreements do not expire, but are open to renegotiation every five years. The key to the criminal law enforcement puzzle was that jurisdiction for Indians is always federal. When an Indian is accused of a crime, he or she is tried in tribal or federal court, depending on the offense. But under the city, county and state agreements signed by the Saginaw Chippewa tribe, any law enforcement agency can arrest an Indian anywhere. If non-Native police arrest a Native suspect, he is delivered to county jail, where a Bureau of Indian Affairs officer employed by the Saginaw Chippewa tribe takes him into custody. He is held in the county jail at tribal expense until he appears in tribal or federal court. BIA police have also been deputized to arrest non-Natives. But the non-Natives are tried in state or municipal court. The arbitration also resulted in mutual aid agreements to clarify which law enforcement agencies have primary jurisdiction for a variety of crimes and locations, and to lay out the rules for coming to one another’s assistance. “We hosted cultural enrichment events for law enforcement agencies so they would have a better understanding of the boundary and how that worked for their day-to-day jobs,” said Cloutier. As was predicted in the affidavit about the Wyoming state Public Defender Office, the local court system in Michigan saw a decrease in business as cases were transferred to tribal court. “This proved to be a good thing. It freed up resources for everyone,” Cloutier said. The state asked for and received a big concession from the tribes when it came to record keeping. Until the agreements, the tribe did not feed information about serious traffic offenses on the reservation — in particular, drunk driving — into the state databases. Beginning in 2010, the tribes began making regular reports to the state. In both Wyoming and Michigan, one of the most disturbing fears was that convicted Indian criminals would be released if the law found that they had been arrested and tried under the wrong jurisdiction. The fear, as Michigan arbitrators learned firsthand, was overblown. In fact, the jurisdiction changes were applied prospectively. No one got out of jail. And no retroactive changes were necessary under federal case law that is sure to be familiar to all sides in Wyoming as well. Taxation was another hard subject. “There were some big concerns about the property tax base,” said Kathy Ling, a Mt. Pleasant city commissioner who attended most of the negotiating sessions. Among the biggest problems was how to compensate the county for property tax lost when the tribe purchased land and transferred it into untaxable federal trust. The Saginaw Chippewa tribe runs a casino in Mt. Pleasant and often invests its earnings in land. “We agreed that we would pay the tax on any land until we trusted it,” said Cloutier. “And at that time we would make a lump sum payment to the county as compensation.” The tribe and county agreed that the tribe would pay seven times the current property tax for any parcel it trusted, payable at the time the land came off the county tax rolls. As the discussions went on and the parties began to trust one another, it became possible to look into smaller, more detailed matters such as zoning and blight. The city, which is now half on and half off the reservation, perceived problems enforcing laws that regulated simple things like mowing lawns. The tribe agreed to hold Natives to the city’s standards as long as they could enforce the city rules in tribal court, Cloutier said. Both sides encountered a few rough patches after the agreements were approved, but the Saginaw Chippewa and non-Native governments were able to learn from them. In 2011, at a street fair in Mt. Pleasant, the county health department asked to inspect and give permits to Native food vendors. The vendors declined to cooperate, pointing out that a division of Indian Health Service was responsible for their inspections. As Cloutier recalls it, the city of Mt. Pleasant intervened and requested that the county health department allow IHS to carry out the inspections. When the fair opened, Native and non-Native vendors manned booths side by side. But Natives posted a permit from tribal government and non-Natives showed permits from the county. The idea represented by the side-by-side vendors with permits from different but equal governments was the key to forging agreements in Michigan. Although it was a difficult concept when the parties sat down together in 2008, it is a commonplace today that two establishments engaged in the same business at the same location can be regulated by two different governments, one tribal and one not. A clear understanding of that additional layer of concurrent jurisdiction is exactly what the state of Wyoming lacks, according to lawyers for the Northern Arapaho tribe. “The Supreme Court recently  said that Tribes do not, as a general matter, have civil jurisdiction over non-Indians simply because they come within reservation borders,” the Northern Arapaho lawyers wrote. Commercial transactions and legal relations of all kinds between non-Indians remain valid even when they take place on the reservation. There is no danger, so the tribe’s lawyers, of the potential chaos described or hinted at in the state’s affidavits. The tribe’s lawyers argue that the state’s “Parade of Horribles” rests firmly on a misunderstanding of the law. It is, however, a very human misunderstanding based on mistrust and, perhaps, misleading education. The way past the misunderstanding, at least in the experience of the Saginaw Chippewa tribe and its neighboring governments, is to get to know the other parties — to sit down in a room and talk about the issues that divide the community. If you enjoyed this story and would like to see more quality Wyoming journalism, please consider supporting WyoFile: a non-partisan, non-profit news organization dedicated to in-depth reporting on Wyoming’s people, places and policy. 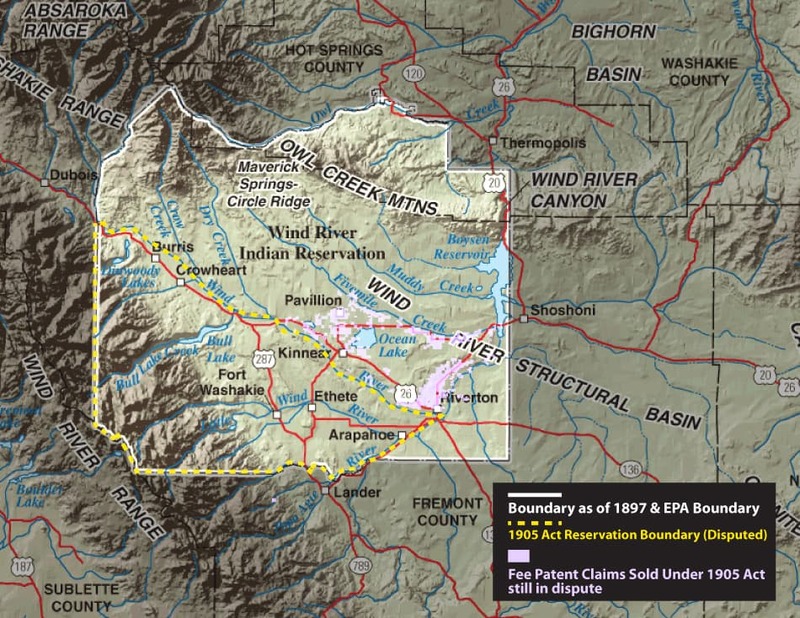 Everyone who has studied this case can clearly see the land in question was sold without deminishing the boundaries of the Wind River Reservation. The Tribes did not give up jurisdiction over the land sale, Jurisdiction and Sovereignty we’ve enjoyed before Wyoming was a state. The 10th circuit will re-affirm this finding. Great read but you got the cart before the horse, Arapahoes own the cart and the horse by the way. Thank you for your research and clarity. Thank you, especially, for keeping sensationalism out of your journalism. Calm, clear thinking, serious conversation/listening and hard work is all it will take to make the transition smooth. Yes, that’s asking a lot, but it’s the best we have to offer each other. Thanks for doing this research and sharing the findings. I eagerly read this piece. It is heartening to find models that can help point to possible solutions for this issue…solutions that create less antagonism between the stakeholders and explore creative options to meet diverse interests.